No, The Koch Brothers Are Not Buying Elections | Just Bunk! Propaganda: The Right-Wing Billionaire Koch Brothers are stealing elections and drowning out the voice of The People! It’s not Fair! We need to get Koch money out of politics! Open Secrets listed the top 156 political contributors, along with their political leanings. It will astound you. See it here: Heavy Hitters: Top All-time Donors, 1989-2014. So, why all the fuss about the Koch Brothers? Because Democrats don’t want money out of politics, they just want conservative money out of politics. It’s the height of hypocrisy. And they think you’re stupid enough to fall for it. 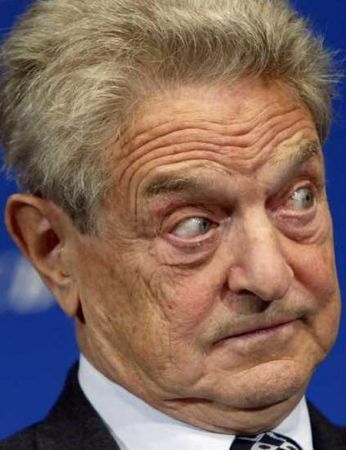 If you’re looking for political boogeymen, convicted criminal, socialist, 22nd riches person in the world, Nazi Party collaborator and Progressive activist George Soros is a must. Or, you can take a look at Liberal Billionaire Tom Steyer, who has promised to donate $100M to Democrats in 2014. The bottom line: everyone has a right to put their money into politics. And you have a responsibility to research and carefully consider what you believe. But the war on Koch Industries is nothing more than an attempt to silence free speech. That is un-American. It is anti-constitutional. And if you’re going there, you’ll need to shut up a lot of Democrats before you get to the Kochs. One of the main reasons I left IBEW ( Intl. Brotherhood of Electricians) was the day I found out that my plan was laughable compared to some non-union jobs. A main reason for this is the 44,000,000$ IBEW spent to get Obama and other Democrat elected. (IBEW ignores the fact that the only union jobs that benefitted under Obama were federal workers). That money could have – should have – been better spent on IBEW workers’ pensions. That was the final nail in my coffin that proved that unions do not care about ANYTHING other than the dues they extort from you. Best post yet. Short and factual. Money doesn’t pull the lever in a voting booth. The electorate needs to stop looking for a scapegoat, spend a little less time watching “Dancing with the Stars” and do a little research. Let’s stop bitching about those that are engage. If the Koch Brothers ideas are meritless, it’s the electorates job to see through it because we will pay the price. I HOPE we will CHANGE our ways, READ IT BEFORE WE PASS IT and do the math ourselves. If you are smart enough to balance a family budget, you can figure it out for yourselves. You don’t need to live in Washington understand it. The people in Washington just want you to think you can’t. I like that: “Money doesn’t pull the lever in the voting booth”.